I was chatting recently with members of the Orlando HUG (HubSpot User Group) at a workshop that we were having about content marketing. Most people that I talked to in the workshop lamented that content marketing is their greatest challenge. That doesn’t surprise me because we’ve personally asked over 580 marketers and business executives to identify their greatest marketing challenge within their digital marketing operations. The category of Content Creation and Content Marketing was the number 1 challenge identified by these executives and marketers. Your buyers routinely use online channels such as search, social media, email, and referring websites to research and educate themselves on matters that are important to them. Prominent positioning of your content within these channels makes your potential buyers aware of you and attracts them to your company. Creating and offering highly-valuable and educational content such as guides, ebooks, white papers, case studies, videos, podcasts, and pillar pages help convert more website visitors to leads. A pillar page is a longer-than-normal website page that covers all aspects of a core topic on a single page with links going out to high-quality, more in-depth content such as blog articles for related subtopics. This high-quality content then contains hyperlinks back to the corresponding pillar page. Some people may feel that no one will read long webpages or articles. But if it’s written well, has relevant content, and is designed to make it easy to read, then long “pillar” pages are extremely effective and help tremendously with SEO. 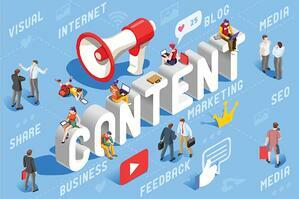 So why do so many companies and marketers struggle with content creation? I admit that it can be very overwhelming and easy to just ignore or put off. Your team doesn’t have the bandwidth or the human resources to produce and market high-quality content. You don’t know what content to create to fit your buyer persona and their evaluation journey. You lack the digital marketing and sales experience, or expertise, to create and market digital content effectively. You really don’t want to create content and try marketing online. So, let’s dive into each of these areas a little deeper. Hopefully, we can find a solution that works for you since content marketing is so important. We get it. You have more on your plate than you can get done in a day, much less a week. You’re a subject-matter expert in your industry and you know what content needs to be created and published, but you don’t have time to write it yourself. You probably have the time to review and approve content written by someone else, but that’s about all the time you can devote to it., Finding a credible resource to help write the articles would be a great benefit. Create the source content you need according to an agreed timeline. 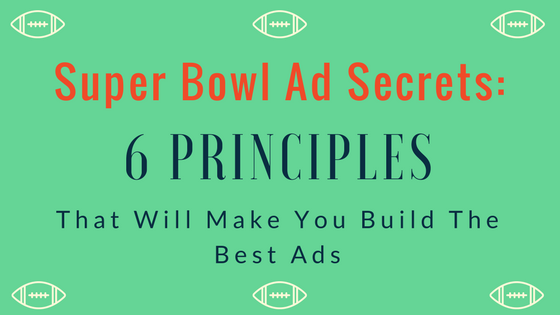 Make sure the content is credible, grammatically correct, easy to scan, and formatted well. Optimize it for search engines. Embed relevant images or video. Include links to other relevant web pages. Include Call-to-Actions (CTAs) that take your reader to the most logical next step in your ideal buyer’s evaluation journey. Stage the content on a platform that allows you to review, make comments, collaborate, and ultimately approve the final version without going back and forth in a volume of emails. Publish and market the content through your primary digital channels to reach, engage, and motivate your ideal buyers into action with your company. Provide feedback and results on the performance of your content to meet your desired goals and objectives. The solution for this is likely an outside resource such as a consultant or agency. It may be a combination of internal and external resources. You may need the external resources on an ongoing basis or designated period of time until you can internally take on more of the content marketing efforts. Whatever works best for you, I recommend moving in the direction of creating the content you need to help market your business online. In this case, you have the bandwidth and experience to produce high-quality content and market it effectively. You are just not sure what content needs to be created for your buyers to nurture them throughout their evaluation journey. I find that this is common with marketers or business executives who are new to their company. In fact, they may have been hired to help with their company’s content marketing efforts and they need to research and discover the types of content that their ideal clients are searching for. Marketing and Sales Assessment which encompasses a content audit of all of your existing content in various forms that can be used or re-purposed to create website traffic, generate leads, and nurture your potential buyers for greater sales opportunities. 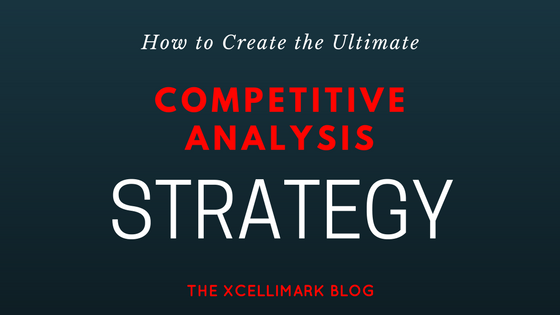 Competitive Analysis to assess the content your competitors are creating and publishing. This will help you identify your strengths, weaknesses, opportunities, and threats, while strengthening your competitive advantage. Market Demand Analysis to identify the most effective and popular keywords that are most relevant for your products and services, and the phrases your buyers are using to educate themselves on these solutions. This analysis also includes identifying the most popular content and Marketing Influencer currently being produced in your marketplace. Buyer Persona Profile Development that provides the five (5) critical insights you need to understand your Ideal Buyer’s priority initiatives, key success factors, perceived barriers, decision making criteria, and evaluation journey. It identifies the key information they seek and consume throughout their evaluation journey when deciding whether to purchase your products or services. Value Proposition developed to clearly and concisely communicate your competitive advantage and unique selling proposition. Inbound Marketing and Sales Plan that identifies the technology, methodology, and processes needed to efficiently and effectively optimize your marketing, sales, and service activities. Content Marketing Plan that identifies the content titles, types, and formats to be created and marketed to attract, convert, close, and delight your ideal customers throughout their evaluation journey and their experience with your company. With this customized digital marketing strategy and plan, you will have the blueprint for marketing and sales success to grow the revenue of your business. More importantly, it identifies the content to create, publish, and market throughout your marketing and sales process to attract your ideal buyers, convert them to leads, and nurture your relationship with them. This will help to create more sales opportunities for your sales team. You may be at a point where your traditional methods of marketing and sales are not as effective as they used to be. 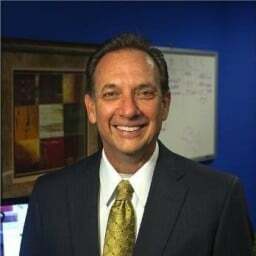 Marketing and sales efforts such as telemarketing, cold calling, conferences, tradeshows, direct mail, and print advertising may have brought your company to where it is today. However, these traditional methods are either not producing the same results as in the past or they have just gotten too expensive for the return on investment (ROI) you are trying to achieve. Maybe you’ve tried various digital marketing activities such as search engine optimization (SEO), email blasting, digital advertising, and you may even be on your 3rd or 4th website design, but they’re not producing the results or gross profit margins you need for the investment you’ve made. Your digital marketers may have thrown marketing campaigns up against the wall to see what would "stick” or produce results. A lot of activity, but they didn’t have a customized strategy or plan designed for you. They gave you the one-size-fits-all plan, or maybe the choice of the infamous 6-tier plan options – Good, Better, Best or Standard, Professional, Enterprise. It’s obvious to you that things have changed, and it takes a different approach to market and sell in today’s almost all-digital, all-the-time, marketplace. 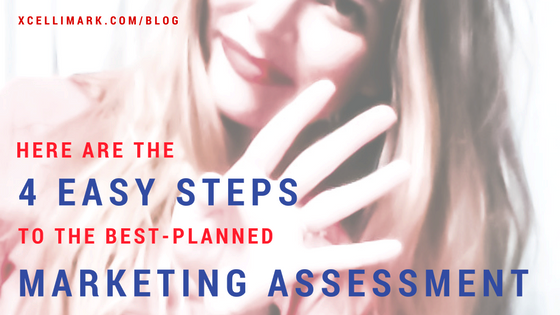 A customized digital marketing strategy and plan. Experienced and available experts to implement your customized strategy and plan designed to achieve your specific business goals and objectives. Flexibility to change over time as the needs and resources for your company changes. Maybe you only need the experts to get you up and running until you can bring in the talent to take over some or all of the marketing and sales enablement efforts inside your company. You need the ability to stay on top of what works and doesn’t work for your company now and in the future. Maybe you don’t have the resources or expertise now but will as you get your internal team trained. An external partner who is flexible with your needs as they change may be the key to get you over this hump. You are possibly a business owner or corporate executive in denial. You may hope or dream that this whole digital content thing will go away. You may even find yourself thinking that the traditional marketing and sales will make a “comeback” because that’s all you know. Sales Alert! Sales have changed. Your buyers want to make their decisions based upon what they learn online from their own research and education. Maybe you’re not in denial. You could be a company VP or Director of Marketing and Sales and you get it but can’t seem to find the budget or resources to produce content. But now it’s your problem and career on the line. Sometimes the business owner or executive has tried it in the past and was burned. We could spend days listing out-of-touch or out-of-date comments from business owners and executives. Don’t lose hope if you are trying to convince the owner or executive team who are in denial or want proof before they will give you the budget to make a substantial impact on the revenue growth of the company. There are some good options to help prove to the owner or executive that it is worth the investment. Develop the digital marketing strategy and plan which will itemize a range of initiatives that have an impact on your company’s goals and objectives. Pick one of the initiatives or campaigns that fit within your budget and have a direct impact on achieving a primary business goal. Run a LinkedIn marketing campaign to target specific decision makers within a certain type of company (revenue, industry, employee size, geographic region, title, or position of responsibility, etc.). You will want to get LinkedIn Sales Navigator to identify specific individuals who meet your buyer profile. Connect with them and publish weekly social media posts that relate to their goals, pain points, or key challenges with a Call-to-Action (CTA) link to a landing page (on your website or within LinkedIn). This landing page will communicate the value of how you can solve their problem or challenge. Include a downloadable guide to address the issues they face and how to solve them. It could be a free consultation or trial offer (that is not a sales pitch) but a genuine consultation that gives them some immediate benefits and helps them in the short term. Use LinkedIn ProFinder service. After setting up and optimizing your LinkedIn profile, apply to use the Linked ProFinder service. If you are accepted, you will receive opportunities to respond to requests for proposals for your type of business. I recommend researching the person requesting the proposal and customizing your response or proposal to them if you feel that you are a good fit for their request. While this is a great platform for freelancers and independent professionals, it can also be a good marketing platform for SMB companies. Setup and run a PPC search marketing campaign to a highly-targeted person searching for your specific product or service. The Market Demand Analysis will give you the specific keywords to target and the most popular content (type and title) for the specific keywords. Develop a landing page highly related to the targeted keywords that outlines the value of how you solve their problem or challenge. This is very similar to what I referred to above in the LinkedIn campaign. The landing page should include a CTA and, usually, a form to download information or to request a consultation. As mentioned earlier, your offer could include a downloadable guide to address the issues they face and how to solve them. Or you can offer a free consultation or trial offer (not a sales pitch) that gives them some immediate benefits that will help them in the short term. If you have sizable inbound traffic to your website but lack any meaningful conversions or leads, look at setting up a campaign with one of the content offers identified in your content marketing plan along with the key components of CTAs, a landing page, form, thank-you page, and autoresponder email. I also recommend adding a question to your form that can help qualify your visitor filling out the form. One example may be to ask them to select the most significant challenge they have at this point from a list of challenges your company can resolve. This will give your marketing and sales team insights in where to focus their follow-up efforts. Hopefully, these examples will stimulate your thinking for a campaign that will give you the greatest likelihood of quick and positive results that impact one of your company’s primary goals. 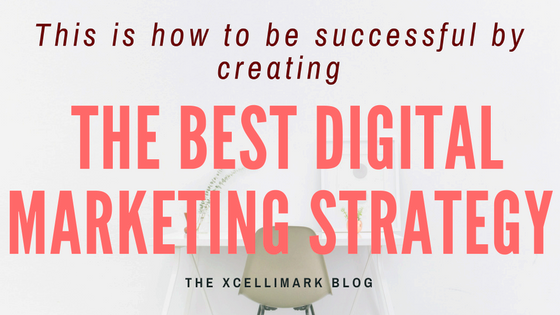 Presenting these positive results to your decision maker(s) may open the door for a discussion to fund the full digital marketing strategy and plan in order to deliver both short- and long-term results that are most meaningful to your business. As you can see, content is critical to any marketing and sales campaign, not only now but in the future. Ideally, I have given you at least one solution for each roadblock to content creation and content marketing, the biggest challenge marketers are encountering today. Regardless of the reason you struggle with content creation and marketing, our Xcellimark team can help. Get a free consultation that will give you the tips and insights on how content creation and content marketing efforts increase your sales.